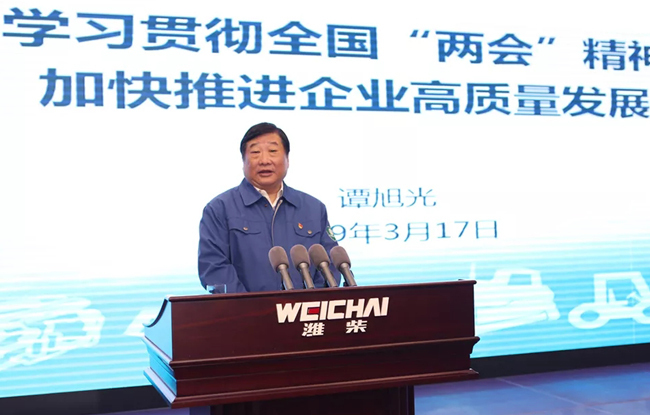 At 10:00 on March 17, 2019, Weichai Group organized a meeting to learn the spirit of the Two Sessions. 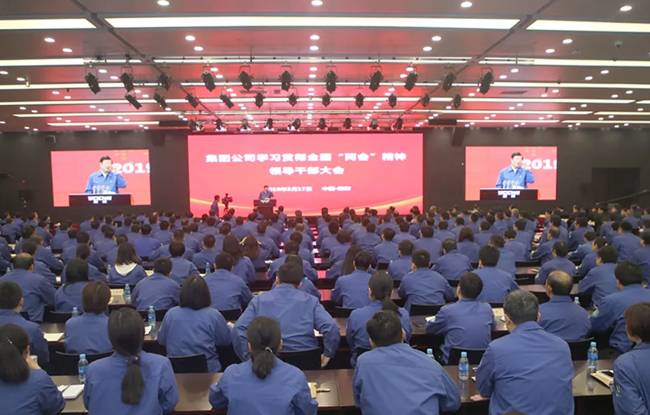 The National People's Congress representative Tan Xuguang led participants to interpret the government work report, revisit the spirit of General Secretary Xi Jinping's important speech, and deployed the key work for the Group. Tan Xuguang said that this is a very pragmatic and grounded report. This year’s Two Sessions mentioned to move "scientific and technological innovation" to a new height. We must take active actions to further optimize the system and mechanism, stimulate the innovation vitality of all employees, and promote the Group's rapid development under high quality.